science & technology | Salam, Big World! JUST ANOTHER PERSON HOPING TO CHANGE THE WORLD! I was honored when my long-time mentor and friend, Bob Berg, invited me to speak at a panel on “Fostering Science & Technology in the Middle East” at this year’s prestigious BioVision conference at the beautiful Library of Alexandria. The conference is usually focused on life sciences and brings in an impressive array of professors, researchers, academics, and even Nobel Laureates. The conference was extremely well organized and the library staff and volunteers could not be more accommodating and helpful. All attendees, participants, and speakers were given name badges with ribbons…different color ribbons. Speakers got red, students got green, volunteers and staff got yellow, etc. This automatically meant that if you were a bearer of the red ribbon closed doors were opened for you, you can claim reserved seats and you can even jump at the front of the lunch buffet line. This made me a little uncomfortable to say the least. My talk went really well and was very well received especially by younger student attendees. 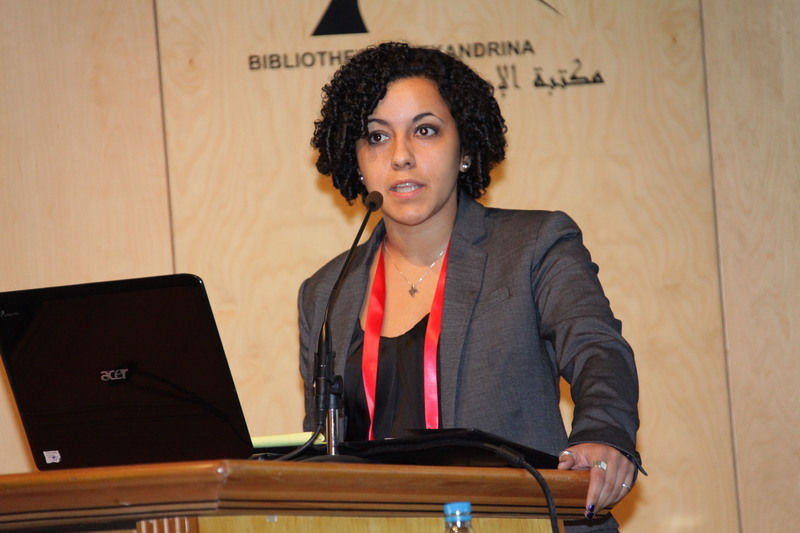 Speaking on “Fostering Science & Technology in the Middle East” at BioVision 2012 in Alexandria, Egypt. I met some amazing people from all over the world working on fascinating things. In most cases, other speakers were welcoming and inviting. Especially because I came from the technology side and didn’t have a solid science background. I found myself enjoying conversations about life and philosophy with chemists, physicists and biologists. Patients with OMSS are usually males in their late early 60s to early 80s. They usually suffer from arrogance, intolerance of new ideas and young people alike, heightened sense of self-importance, and a consistent pattern of self-recognition. Less specific symptoms may include: grey hair, an over usage of the words “my researchers”, and the mastering of heavy-text slides. Most cases of OMSS are of unknown or unpredictable causes. OMSS can be associated with a lack of self awareness. Other causes of this condition include being set in your ways, a decreasing recognition of others’ opinion and value, and of course being boosted up by others. OK, enough of the OMSS talk – I think it’s fair to say that variations of OMSS could be found in every field. I’m still extremely grateful for having been part of BioVision 2012. Some of the people I met there were extremely inspiring.